Last week I’ve posted how you can jailbreak and install XBMC media center on an Apple TV 2, after that I’ve posted on how you can connect your media and optionally share your media library on a (Synology) NAS. Some of my blog visitors asked my how you can create and edit the configuration files on the Apple TV. So let’s take a look at that. 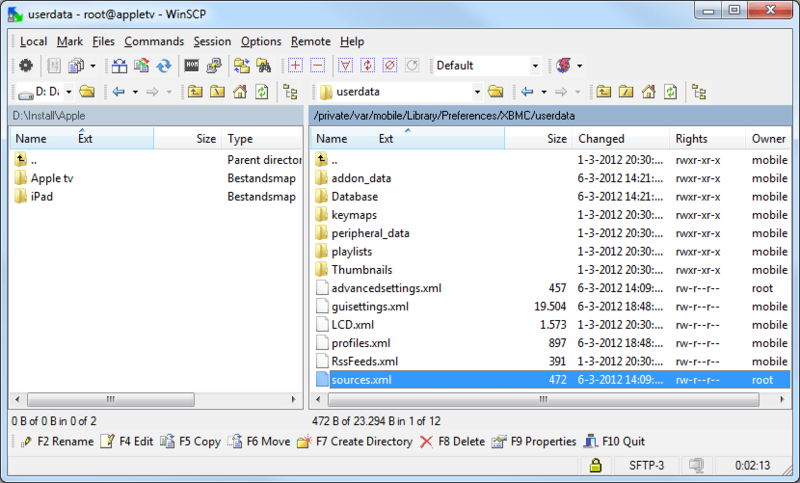 After you’ve installed WinSCP you can start the program and provide the information to connect with your Apple TV. The default username is root and the default password is alpine. The default hostname is AppleTV, if you’r not able to use the hostname to connect you can also use the ip-address. The right side browser is the AppleTV. The editor works the same as for example Notepad, just edit the text and save (and exit). 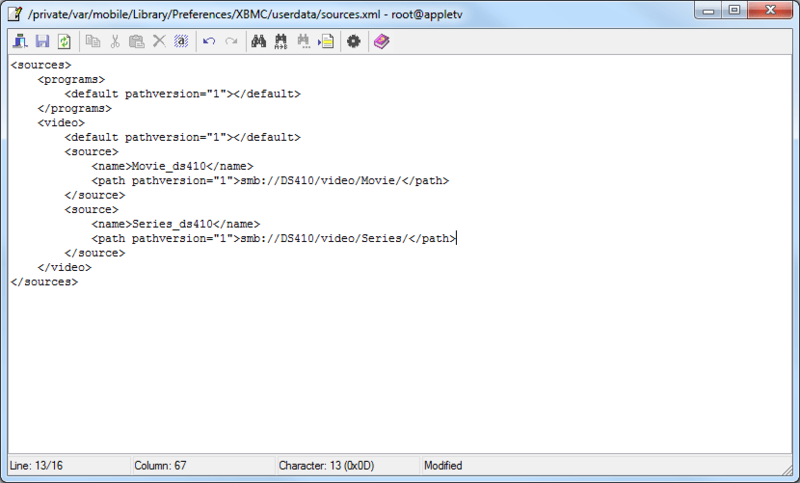 If you want XBMC to connect your shared library or make use of pathsubsitution you’ll have to create a file named advancedsettings.xml (this file is not installed with XBMC). 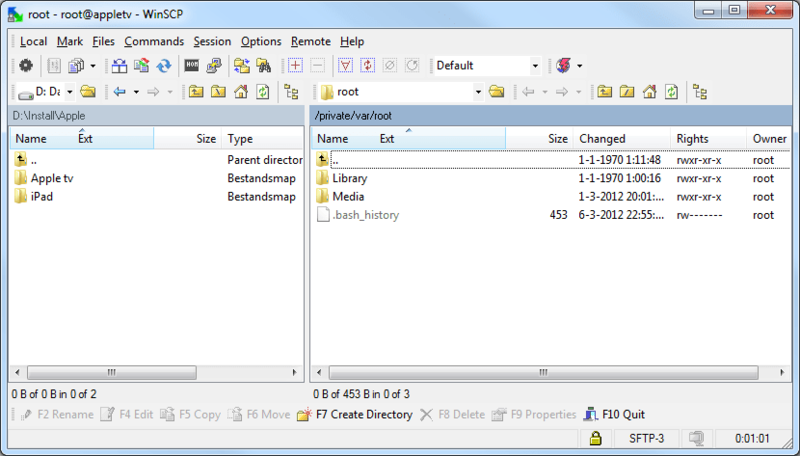 To create this file press SHIFT+F4 and provide the name, after that you can edit and save this file.